We have established a wide gaming zone at our resorts, which offers several games such as Pool Table, Volly Ball, Badminton and many more. These games are available in solo games as well as in package. The games are offered at reasonable rates and are highly appreciated by our clients. Proper cleanliness and air conditioning is offered here. We regularly add new popular games and take feedback from our guest in order to improve the whole gaming setup. 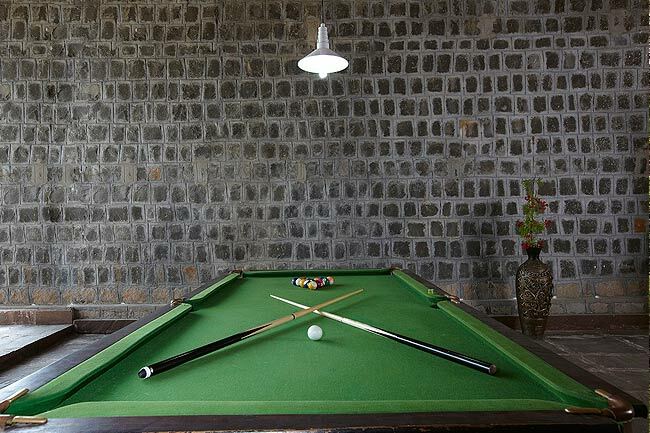 Indoor games available include snooker pool, chess, carom, wild life gallery, card room, table tennis. Outdoor games include badminton court, macchan for bird watching; children play area spread over 55,000 sq. feet.